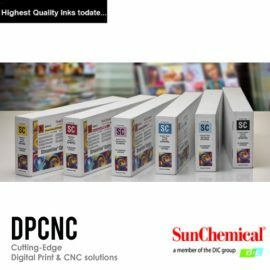 Sun Chemical Streamline ESL2 HPQ Series, Wide Format Ink, Roland Printers. 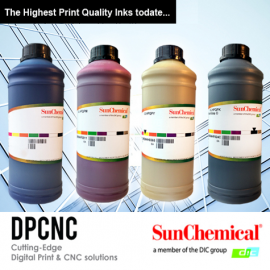 Streamline ESL 2 is an eco-solvent inkjet ink series formulated to match the colour, performance and quality of Roland’s Eco-Sol Max 2 version inks, used with Roland’s Pro 4 series machines. ESL2 is fully intermixable with Eco-Sol Max 2 inks, enabling the printer to utilize the existing original colour profiles.